A call out to all Vets new and old. To celebrate the last month of summer we will be going to the Glory v Jets game on the 4th February. The meeting spot will be The North Bridge Brewing Company off Lake street at 4pm. We will then make our way to the ground about 6pm. Training for the vets teams is on Thursday nights 7pm-8.30pm at Hossack reserve. Squad for first game of the night series. 3rd February 7.30 KO (be there for 6.30), Morley Windmills ground. Okay that’s the first 15 sorted. Nitin and Jian you will definitely be in the next games squad. If anyone above cannot play please let me know or contact Nitin or Jian directly and they can take your place. Make sure you bring socks. The vets team will be participating in a pre season night series held at Morley windmills. The first game will be 3rd February 7.30 Kick off against Dianella White Eagles. Players will need to be at the ground for 6.30. For any Lynwood players interested in playing please text Tony Campbell on 0400440632 to register your interest. Future information regarding the competition will be posted on the website in the future. For those new and old players interested in training information will be posted in the next few weeks. 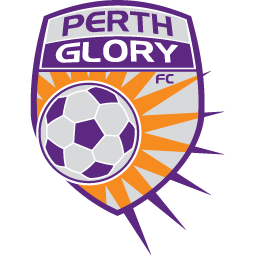 A mixed team of U9s and U10s on Thursday 5th, had the opportunity to play on the big pitch, where are the magic happens for Perth Glory. Just another initiative that we provide for our junior players. All about experience and enjoying the game. During the year we will place photos of certain events here.